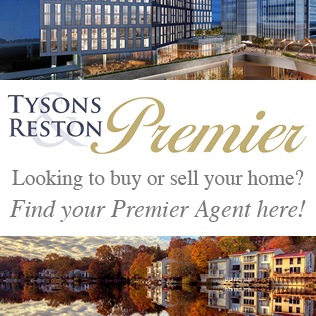 Northern Virginia has some of the best public school systems in the United States. Still, many local families choose to send their children to private schools. Why take on the extra expense? From smaller class sizes to advanced programs and some unique environments and features, private schools generally can offer more than public schools, often limited by budgetary and policy constraints, may be able to provide. Fairfax County, which has the largest public school system in Virginia (and the tenth largest school system in the nation), is home to dozens of private schools which go beyond solid academics to provide enrichment programs, a well-rounded education, and special programs to prepare students for college and life. Parents seeking the benefits of a private education often begin as early as preschool, where young children are exposed to educational philosophies such as the student-directed learning method of Montessori. Whether you are looking religious instruction, a specialty program for arts, or a curriculum focused on science, technology, engineering, and mathematics (STEM) you will find many choices in Northern Virginia. Some are homegrown, independent academies, while others are part of a national organization. 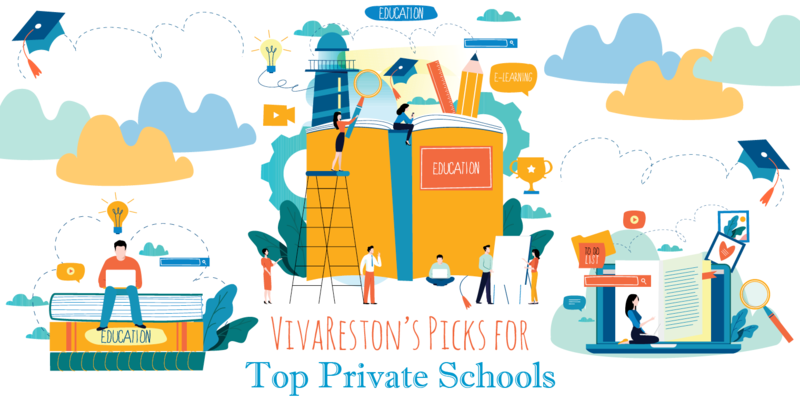 Our guide below highlights some of the best private schools in the area. Guided by the principle that children enjoy learning, Nysmith seeks to engage them with age-appropriate challenges and innovative programs. 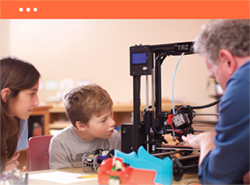 With small class sizes, award-winning programs, minimal repetition, and STEM programs from a very young age, Nysmith kids become engaged, enthusiastic, and well-prepared for the future. Beantree Learning’s large, airy, and beautiful campuses, which resemble a plaza or town square, provide a lovely setting. But it’s the substance of its programs, not just its aesthetics, that make Beantree attractive to parents. 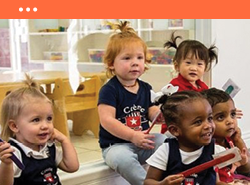 This accredited school hires only degreed, professional teachers and promotes a well-rounded program for early childhood education to include foreign languages and global learning, music, physical fitness, and performing arts. 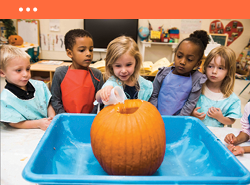 Hands-on projects, special events, and monthly field trips for kindergarteners expand on the curriculum. LePort Schools provide education following the Montessori philosophy to encourage independent thinking and self-directed learning. Montessori-trained teachers, mixed-age groups, and child-led activity and exploration give students a chance to explore and set their own pace from a young age. 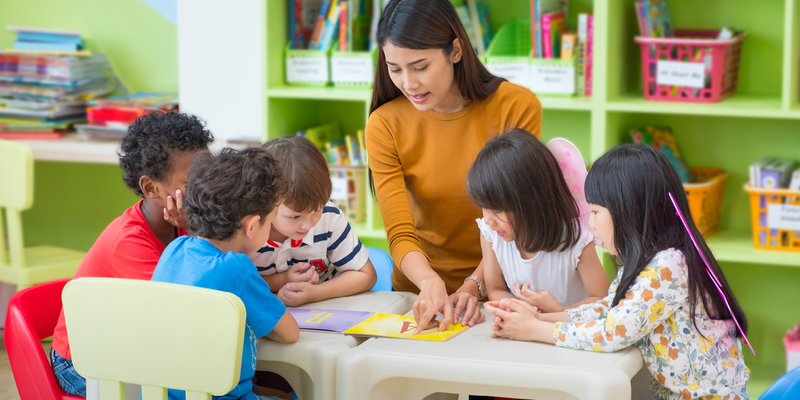 Children ages 3-6, including kindergarten, are all in one classroom, staying with the same teaching team for three years to provide a consistent, three-year mixed-age community in which they get unlimited, child-led time to explore. 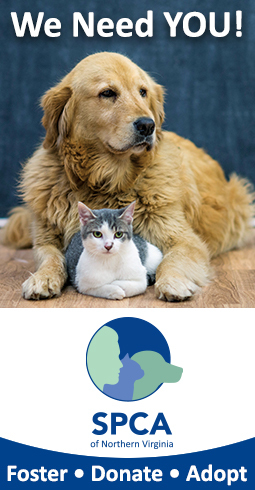 Founded in 1953, Loudoun Country Day School (LCDS) is an accredited private school that helps develop students academically, physically, artistically, socially, and emotionally. Its preschool program has a strong focus on social skills and independence through imaginative play and creative thinking. Special programs include field trips and teaming up with older students on projects. Kindergarten programs incorporate technology, core academics, and hands-on activities into the daily curriculum. 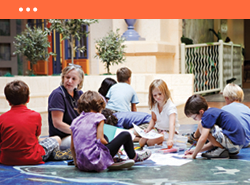 Reston Montessori School was established in 1986. 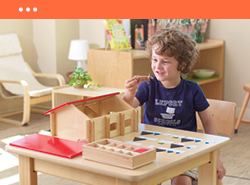 It is an American Montessori Society Full Member school. The school grew from one primary classroom to serving students from age 3 months to 12 years in Pre-Primary, Primary, Kindergarten and Elementary school classes. The Montessori Method is based on the child’s tendencies to explore, be independent and make decisions, develop self-control, abstract ideas from experience, be creative and imaginative, repeat for internalization, concentrate, and perfect and master concepts and ideas. Montessori classes are organized into groups representing a three-year age span. Within each group there is constant interaction, problem solving, child-to-child teaching, and socialization. The environment is arranged according to subject area, and children are free to move around the room, and to work on a piece of material as long as needed. It is the role of the teacher to prepare and adapt the environment. The teacher links the child to the environment with well-planned lessons. Children learn directly from the environment, other children, and from the teacher. The teacher works with children one-on-one, in small groups, and less frequently, in large group settings. 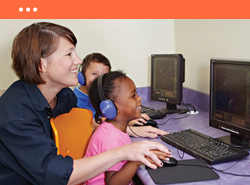 Goddard School knows that when learning is fun, children flourish. The school’s goal is to provide a collaborative, family-like environment where children blossom into respectful, confident and joyful learners. 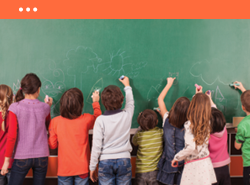 Its comprehensive, play-based curriculum, developed with early childhood education experts, provides the best childhood preparation for social and academic success. 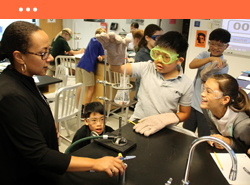 Guided by its Educational Advisory Board, the school’s teaching philosophy emphasizes art and STEM programs, enrichment opportunities, safety, and a nurturing environment. Set on a 40-acre campus, Congressional School boasts a “comprehensive, interdisciplinary, challenging, and age-appropriate academic program” to develop students academically and nourish them socially and emotionally. From preschool on, children develop literacy skills, emerging mathematics, and hands-on science. 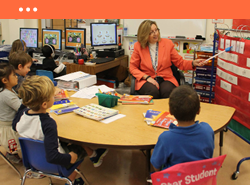 In Kindergarten, they also receive instruction with specialty teachers in art, music, and physical education, and languages such as French or Spanish. 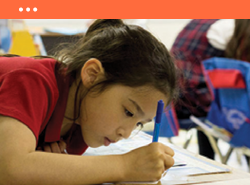 “When students love to learn, they excel,” is the guiding principle of BASIS Independent. The school provides a joyful learning culture that celebrates hard work and inspires children of all ages to reach the next level. 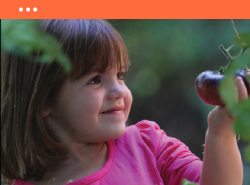 Its Early Learning Program (PreK-1, PreK-2, and kindergarten) balance a child’s natural tendencies—to question, explore, and create—with intentional, academic learning. Students are well-rounded and confident, with opportunities to explore programs in art, music, science, athletics, and more. With a small student-teacher ratio (8:1), Green Hedges School in Vienna forms a tight-knit community that provides a foundation for academic values and strong engagement. Preschool and kindergarten students learn in a Montessori classroom with Montessori-trained teachers, and all students learn French beginning at three years old. Leadership and community service programs begin from an early age. For more than 30 years, Brooksfield has offered a unique Montessori experience cultivating a love for learning that fosters lifelong friendships among children, families, teachers, and the community. Situated on five quaint acres of woodlands, the school emphasizes creativity, the arts, and nature. Young children develop self-confidence and independence, hone their distinct gifts and talents, and learn to be community leaders. The school also emphasizes sustainability, eco-friendly learning environments, and environmental stewardship. Children learn by doing at Eastern Ridge, and much of the education takes place exploring the world around them, including outdoors. At Eastern Ridge, children play and learn outside at least one hour each day, but often for longer. Inspired by the Reggio Emilia approach and by European-style forest schools, Eastern Ridge makes good use of its “outdoor classroom,” providing gardening, unstructured play, and project-based learning opportunities for its young students. The school also promotes a strong community with heavy parent involvement. Crème de la la Crème encourages children to succeed and discover a love of learning that lasts a lifetime. Because studies show that preschoolers’ minds are stimulated in 30-minute intervals, the school designed a classroom rotation that provides a primary teacher plus rotations throughout the day to enrichment classes with specialists. The school’s state-of-the-art facilities include a sun-filled atrium and amenities such as a water park on-site, full indoor gym, tennis and basketball courts, soccer field, and baseball diamond. Safety and security are key points, with biometric fingerprint and code process for school entry and continuous monitoring through security cameras. This accredited Montessori school instills a sense of independence and collaboration in its young students. Founded in 2003, it provides preschool and kindergarten in an environment that balances choice with structure, and creativity with discipline. Students learn through cooking, art, gardening, bilingual instruction, and other fun hands-on opportunities in a warm, enriched environment designed to stimulate the child’s natural desire to learn. Westminster School provides a well-rounded education steeped in the classics, whose fundamental goals are a disciplined and well-informed mind, strength of character, dedication to learning, creativity, and joy in the possibilities of life. Celebrating one of the most diverse communities of any private school in NOVA, Westminster attracts families from many different cultures and nationalities. Due to frequent opportunities for performing and public speaking, graduates demonstrate strong communication skills. Accelerated curriculum includes the core subjects, as well as Junior Great Books, French, Latin, Art, Music, Penmanship, Drama, and daily PE. Extracurricular activities such as sports, chorus, orchestra, MathCounts, Odyssey of the Mind, Science Olympiad, chess, and multiple field trips per year enhance the students’ rich experience. Extended care, door-to-door bus service, enrichment classes, and camp programs are also available. 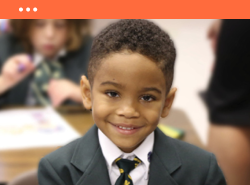 The Fairfax Christian School is an award–winning, independent, university–preparatory school serving kindergarten through twelfth grade which creates scholars with a passion for learning. Their experienced teachers follow a time–tested, challenging curriculum which promotes critical thinking and creativity while focusing on the success and talent of each student. With small class sizes and individual attention, each student thrives, explores their unique abilities, grows in their confidence and achieves academic success. “The Fairfax Christian School provides a traditional education with the personal attention needed to ensure every student excels,” notes Jo Thoburn, head of school. The Fairfax Christian School’s new campus, located near Dulles airport, opens in 2018. The new campus allows for expanded opportunities for all of their students. The new facilities include state–of–the–art science and computer labs, a performance hall, library, art studio, music studio, a large gymnasium and expanded outdoor playing fields. The Fairfax Christian School has an exceptional worldwide reputation, over a third of their students move to the US to attend the Fairfax Christian School and top universities around the globe accept their graduates. Elementary education at Nysmith means a highly experiential environment and hands-on learning, with minimal homework or repetition. The school’s core curriculum includes math instruction at up to four grade levels above the student’s grade level, and two and a half hours of computer technology instruction and nearly four hours of hands-on science each week. 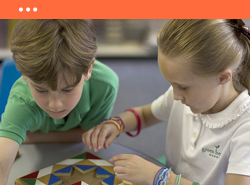 LePort Schools provide education in the Montessori style, preparing students to graduate as confident, independent thinkers with a strong knowledge about the world around them. Its elementary programs provide individualized attention with low teacher-student ratios, strong foundational skills in language arts and math, many hands-on activities, tailored learning, and family-friendly schedules with limited homework. Middle-schoolers learn in an environment that is challenging but still supports self-expression, with additional opportunities to learn through enrichment programs and community service projects. LCDS provides a challenging and rigorous but well-rounded curriculum for kindergarten through eighth grade with a family atmosphere and small teacher-student ratios – its students in middle school are in class sizes about half that what they would be in public schools, giving them more teacher attention and leadership opportunities. Accompanying the core subject areas are programs in art, music, foreign languages, technology, and physical education, including multiple sports. Students also can partake in community service activities, character programs, speaker series, team-building activities, and life skills programs. Elementary and middle school students at Congressional School work in a collaborative and challenging environment. From its earlies stages, the curriculum emphasizes independence and “ownership of learning” by its students. Beginning in fifth grade, students change classes throughout the day to receive instruction from specialists for each core subject. The curriculum includes multiple leadership opportunities for students, plus team-building exercises made more exciting by Congressional’s large campus which includes a 40-foot climbing wall, swimming pools, archery range, and a challenge course and zip line. Langley’s inquiry-based curriculum for elementary students helps them develop skills they can apply to real-world problems. In first grade, children begin reading books independently, including nonfiction texts. By third grade they’re writing and publishing their own books. 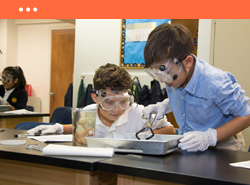 All Lower School students participate in state-of-the art science labs several times each week. Middle School adds intensive foreign language instruction plus many electives, team sports, and community service projects. Edlin is an academically gifted private K4/K5 through 8 school focused on a classic curriculum in combination with arts and STEM programs. Its many offerings include performing and visual arts opportunities; languages including French, Latin, and Spanish; athletic and clubs; and international immersion trips to learn about other nationalities and cultures first-hand. The school’s setting on five acres of lush woodland and fields provides ample opportunities for outdoor exploration. Offering strong STEM and arts programs, Green Hedges provides elementary and middle school students with a well-rounded education. All middle schoolers study two languages and have leadership opportunities inside and outside the classroom. A strong visual and performing arts program and new science and native garden enhance student creativity. The Experiential Learning program provides unique opportunities: beginning in grade four, students take overnight trips to sites where the focus is on learning by doing, whether it’s a working family farm to better understand the farm-to-table food cycle or a multi-day trip to the Chesapeake Bay to study ecology. Guided by Jewish values, Torah, and community, Gesher promotes learning, justice, kindness, and respect. The curriculum combines traditional learning in language, math, science, and social studies with Jewish studies (including Hebrew, cultural history, Torah study, and prayer, in a small setting with a low student-teacher ratio of 8:1. Jewish traditions are celebrated daily and families include all level of Judaic practice as well as interfaith families. Special programs include field trips and outdoor learning opportunities. Cortona Academy is unique in that at this school, the parents, not the administrators, choose the schedule, teachers, courses and class size best suited to their child’s needs. 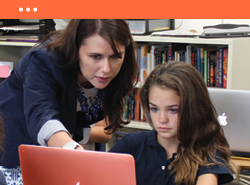 Founded in 1992, Cortona Academy serves students in grades 7-12 with group and one-on-one classes to focus on enrichment, remediation, acceleration, or superior, but stress-free STEM plus arts education. Its “no-fail, potential-based philosophy of education” is geared to each student’s educational needs, interests and abilities to help them succeed. Students have the option to complete two years of study in one, and to enroll at any time of the year due to the flexible rolling admissions process. This girls-only academy provides a private high-school education focused on “launching women who change the world.” Set on 376-acre campus overlooking the Potomac, approximately half the students board at the school, with the rest attending as day students. Academics include advanced placement courses, STEM programs, and performing and visual arts. Students can further learn through global travel and exchange programs, a dozen sports and competitive horseback riding, and more than 50 student clubs, plus numerous opportunities to engage in community service and even intern on Capitol Hill. Student-teacher ratios are among the lowest you will find anywhere, at 6:1. As a top-ranked Catholic high school, Paul VI boasts a strong academic program that prepares students well for college and life in a setting that emphasizes community values. Its curriculum includes core subject areas along with theology, world languages, and technology. Academic programs are challenging, with the goal to prepare students for college, work life, and community leadership, while being lifelong learners. Recognized as one of the top 50 Catholic high schools in the country by the Cardinal Newman Society, Paul VI offers advanced placement and honors courses, and an excellent sports program. The Potomac School serves to develop the whole child, with a rigorous academic program that also looks “prepare students to lead lives of purpose, achievement, and generosity of spirit.” Curriculum highlights include advanced placement (AP) courses; languages including Chinese, French, Latin, and Spanish; computer science and engineering classes; visual and performing arts opportunities; dozens of sports teams; enrichment programs; and community service projects. The school, founded in 1904, is on a 90-acre wooded campus which includes three libraries and a science and engineering center. More than 70 percent of teachers have advanced degrees. Upper school students can apply to the Global Perspectives and Citizenship Program, in which they study economics, politics, culture, and ecology. BASIS Independent provides a strong and diverse liberal arts and sciences curriculum that builds critical thinking skills and a positive and joyful learning culture. 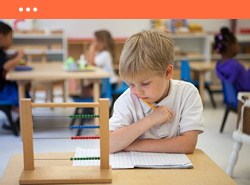 Early instruction emphasizes connections between disciplines, so in grades 1–3, math and science are taught together in a daily 85-minute block, for example. 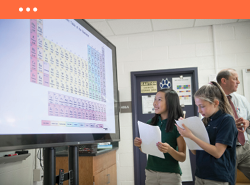 In middle school, students discover and make connections through coursework in three different sciences (biology, chemistry, physics), Latin, logic, economics, world history, and more. The high school program, consistently recognized as one of the best in the country, as ranked by U.S. News & World Report, prepares students to compete and excel on the international stage. Flint Hill School provides a student-centered program that encourages students to take risks, explore their passions and think like innovators. From exploring computer science in Junior Kindergarten to publishing a book about Harriet Tubman’s life story in Fourth Grade, Flint Hill’s Lower School students enjoy a wide range of opportunities to grow as productive and excited learners through the School’s emphasis on critical thinking, collaboration, personal goal-setting and problem-solving skills. In the Middle School, depth and breadth of opportunity are key to students’ success with the introduction of competitive sports and an expanded curriculum that includes differentiated courses in innovation, languages (Latin, Spanish and French), math and English. Students also benefit from the skill and compassion of Flint Hill’s teachers, who are experts in the many facets of the transition to adolescence. 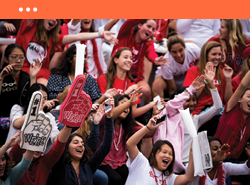 The Upper School combines a strong college preparatory curriculum with an array of electives, co-curricular activities and opportunities outside the classroom to meet an ever-expanding range of student interests and global demands. All of this is complemented by a deep commitment to Flint Hill’s core values. Further out but within easy access to Northern Virginia is Randolph-Macon Academy (RMA), a renowned coeducational college preparatory school in the beautiful Shenandoah Valley The boarding and day school, now celebrating its 125th anniversary, has several outstanding features. First, it boasts a great record of preparing students for the future, with 100 percent of its graduates accepted to college each year. Next, it offers some unique opportunities, such as the only private in-house aviation program in the nation at a secondary school. The academy owns two Cessna 172s and upper school (high school) students can take optional classes by faculty flight instructors. RMA focuses on academic excellence (it offers many honors and Advanced Placement courses), leadership, and character development, with the goal to ensure that students are self-reliant, respected, and recognized for their individuality. The school is set on 135 acres in Front Royal and serves grades 6-12. Upper and middle school students can receive tutoring each day for extra help and participate in sports, arts, and other extracurricular activities. 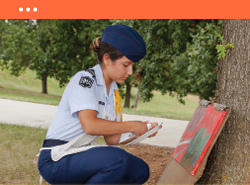 As one of just six private military schools in Virginia, RMA has upper school students participate in the Air Force JROTC program, focused on leadership skills, citizenship responsibilities, and community service. All students have United Methodist Church services offered in the chapel each week.